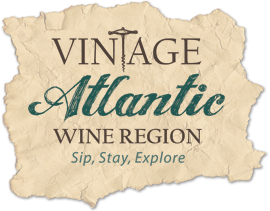 Sign up for our monthly e-mails and see what we are up to in the vineyard, winery and tasting room! Receive discounts, learn about secret sales, and be the first to find out about our events! We currently offer two wine tasting options: Our regular flights, either dry or sweet, are $12.00 each or $15.00 to include a souvenir Penns Woods wine glass. ​Tastings include a 1oz pour of 5 different wines. Tastings are offered until 30 minutes prior to closing. Last call for wine sales is at the time of closing. ​Tastings are seated and only offered inside of our tasting room and on our patio. We no longer offer tastings at our outside bar. Reservations are required November-March. Reservations are not required, but encouraged April-October. Reservations require a credit card on file. Reservations must be cancelled at least 24 hours in advance. No call/ No shows will be charged the tasting fee for how many people were in the reservation. We will not be able to hold your table for more than 25 minutes past your reservation time. We are unable to accommodate parties greater than 8 people for tastings indoors. To inquire about tastings for larger groups please contact carley@pennswoodswinery.com OR call 610.459.0808. Wine glasses are not complimentary. They are available for purchase. Please leave your glass on your table before departing our facility. Due to the intimate size of our facility, if reservations are not made, patrons are seated on a first come, first serve basis depending on our table availability. We can not guarantee accommodations for parties without reservations. We do not permit any outside food or beverages inside our tasting room or on our patio. We are unable to make indoor tasting reservations for parties with more than 8 people. Larger groups (up to 20 people) may enjoy wine by the bottle or glass at our OUTDOOR SEATING (weather permitting). You MUST call in advance to discuss available options. Groups of 20+ are not permitted. ​Unannounced organized parties on our property will be subject to a fee starting at $250. As family-run facility that resides on protected green space, we take pride in our property. We ask that when you sit outdoors you are respectful of your space and leave the area as you found it. For your convenience, trash cans and recycling bins are located in various locations on our property. If your group is 8+. You MUST call in advance to discuss available options. No organized parties are permitted. Groups of 20+ are not permitted. Outside food is permitted only at our outdoor seating. ABSOLUTELY NO OUTSIDE ALCOHOL IS EVER PERMITTED ON OUR PROPERTY. ALL COOLERS ARE SUBJECT TO RANDOM CHECK. Non Penns Woods alcohol will be confiscated and kept inside of our tasting room until your departure. ​Our indoor facility does NOT allow children. Families are welcome to pack a picnic and enjoy our large outdoor space in good weather. ​If you have a large number of children we ask that you sit in the lower field as to offer your children more space to play and enjoy themselves, while not disturbing other customers. We ask that you are conscious of other customers so everyone's experience is a great one. Please keep an eye on the kiddos as they are not allowed to climb our trees or play inside of our barn. Friendly, well-behaved pets are welcome. All pets MUST be on a leash. Parents of pets MUST clean up after their pet. ​As family-run facility that resides on protected green space, we take pride in our property. We ask that when you sit outdoors you are respectful of your space and leave the area as you found it. For your convenience, trash cans and recycling bins are located in various locations on our property. We reserve the right, and are legally obligated, to refuse service to any VIP (very intoxicated person). VIPs (very intoxicated persons) will be given free water and crackers. The decisions of our staff or the staff member on duty is final. We stand by our policies, and support our staff in enforcing these policies. Penns Woods Winery carries a large selection of local artisan items from cheeses, crackers and spreads to cutting boards and candles.